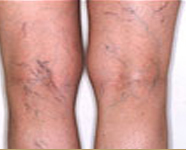 Vein removal can be surgical or non-surgical and is usually used to address spider and varicose veins. Although some severe cases of varicose veins can be very painful and cause great discomfort, for the most part these veins don’t serve a purpose and their removal is strictly for cosmetic reasons. 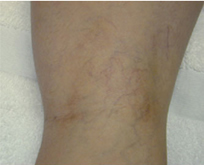 The most common non-surgical method of spider and varicose vein removal is sclerotherapy. Sclerotherapy involves inserting a tiny needle directly into the vein with a solution that will dissolve and collapse the vein. 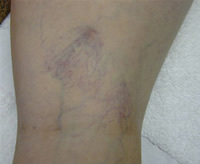 It’s most often used on spider veins and smaller varicose veins. With technology advancing so greatly in recent years, laser vein treatment is another widely popular vein removal option. There are a variety of lasers are on the market that are designed for vein removal. 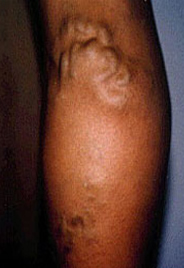 They utilize a high intensity light to target the pigmentation of the vein and collapse it, removing it from visibility. Surgical options such as vein stripping, Ambulatory Phlebectomy and Subfascial Endoscopic Perforator Surgery (SEPS) are also options for vein removal. 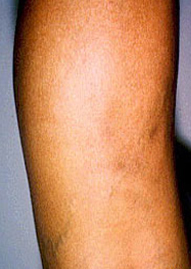 Surgery is usually saved for the more severe cases of varicose veins. All include a process by which small incisions are made and the vein is removed from the leg.